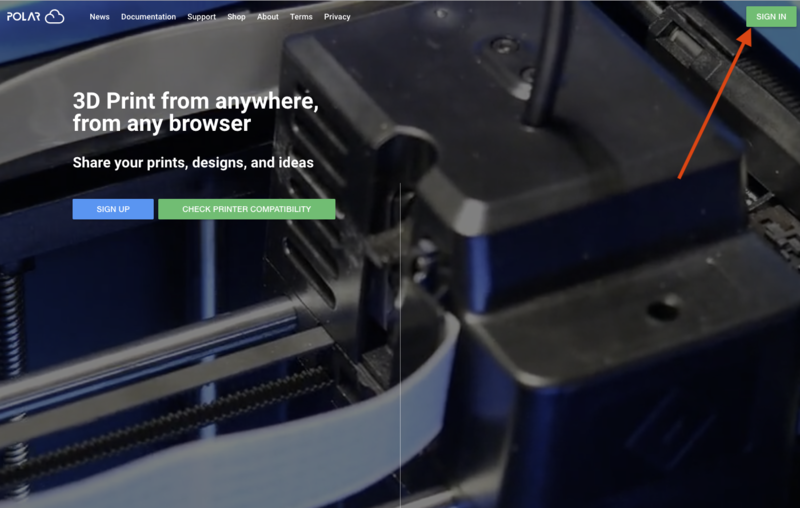 We have partnered with Polar Cloud, the platform for making, to make 3D printing universally accessible by giving anyone with a browser the ability to create and transform digital models into physical objects. 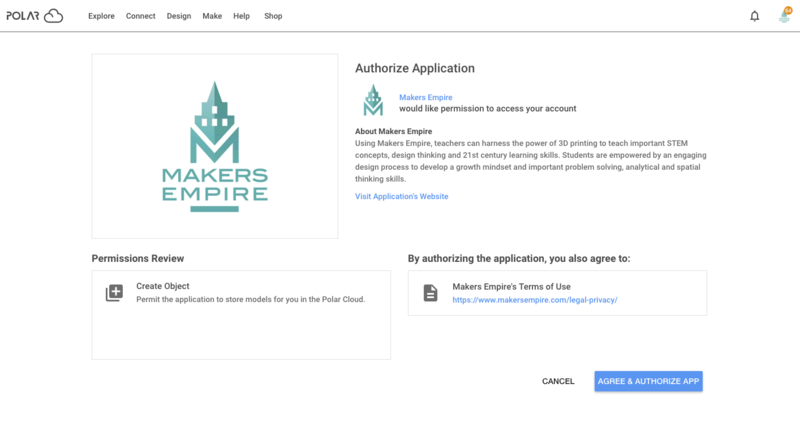 You can easily link your Makers Empire and Polar Cloud accounts via the settings the Makers Empire Teacher's Dashboard. 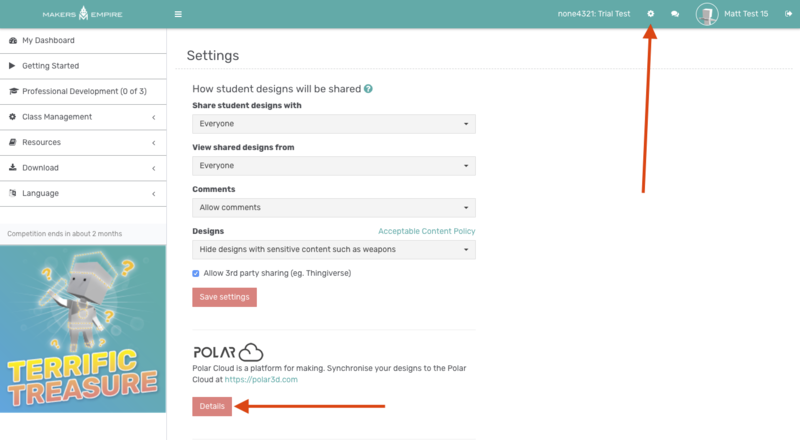 Click the cog in the top right corner of the Teachers Dashboard. 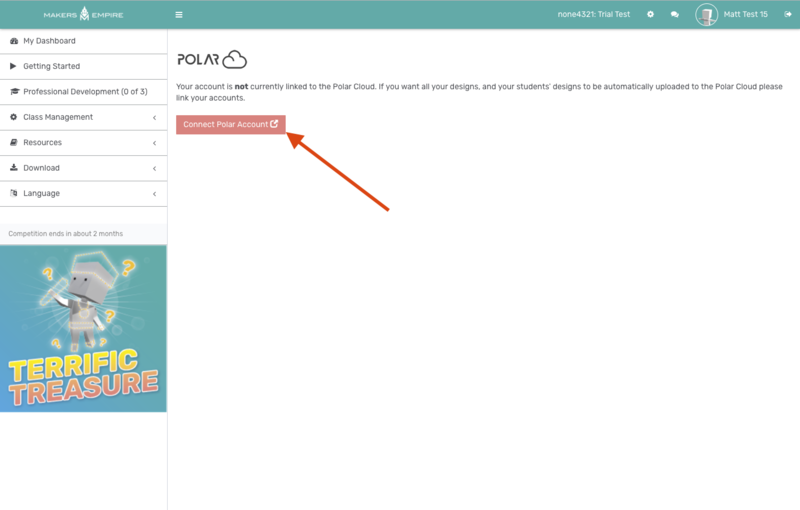 Once you have been redirected to the Polar Cloud website, click the Sign In button to continue the process. You should then be redirected to a page that requests authorization to link your account.